Northern Californians know a secret: visiting Lake Tahoe with kids is just as enjoyable over the summer months as it is during ski season. Of all the summer destinations I’ve been to over the years, it is by far a persistent favorite for beauty, relaxation, and activities that please all ages. Although activities in and around the lake are the summer star attraction, don’t forget to visit Northstar at Tahoe (a 10-minute drive from King’s Beach) as they’ve put together a killer list of activities for summer 2014. Most of these options are for fun all ages but there are a few parent-only additions on this list and provide great fodder for a fantastic date night out! Inspired by the growing popularity of annual summer star gazing, Tahoe Star Tours invites guests to learn about and experience the night sky Thursday through Saturday evenings from June 12 through September 27 from 8:15 p.m. to 10:30 p.m. Tours are hosted at Northstar’s Dark Skies Cosmoarium, offering a wide, unobstructed horizon where star gazers relax in comfortable seating around fire pits, outdoor heaters. State-of-the-art Celestron telescopes allow for a focused look at the cosmos. Tahoe Star Tours owner and president of the Northern Nevada Science Coalition, Tony Berendsen, narrates the experience while audiences enjoy cocoa, coffee, and s’mores. Tickets are $US 30 for adults; $US 15 for children ages 12 and under. A series of special star gazing events will also be offered on select dates, including Concert Star Tours featuring Accent string quartet on Friday, June 27, Saturday, July 19 and Saturday, August 16. These three events will feature live performances at The Ritz-Carlton, Lake Tahoe, followed by star gazing opportunities at mid-mountain at Northstar. Tickets are $US 75 for adults; $US 50 for ages 18 and under. Guests are invited dig out their 70s and 80s threads, lace up their skates and groove to disco and big-hair classics during Retro Skate Night at the Village at Northstar’s 9,000-square-foot outdoor skating rink every Tuesday from 5 p.m. to 8 p.m., or relax while sipping a specialty cocktail prepared at one of the two outdoor Cabana Bars surrounding the rink from 6 p.m. to 9 p.m. Access to the rink is free, and skate rentals are available for $US 10. Families can enjoy a leisure stroll through The Village while playing a round of miniature golf. A colorful nine-hole course follows a path near other Village features. Putters and golf balls are available for rental at the Summer Fun Center near the Skating Rink for $US 10. Miniature Golf is coming soon. With the addition of the Kids’ Adventure Club for ages 4-12, parents can enjoy a guilt-free round of golf, day of mountain biking, or shopping in the Village at Northstar. The Kids’ Adventure Club is offered daily July 1 through Labor Day Weekend and provides fun, interactive learning experience through nature hikes, games and activities. The cost to participate is $US 71 per child, per day for a program that runs from 10:00 a.m. to 3:30 p.m. and includes a kid-friendly lunch and snacks. A new six-week, themed cooking class series hosted by The Ritz-Carlton culinary team will be offered on Fridays this summer, starting July 11 and concluding August 15, 2014. Participants will enjoy an interactive experience in the kitchens of The Ritz-Carlton, Lake Tahoe working alongside a Ritz-Carlton chef. Classes include: BBQ & Grilling, Entertaining (appetizers, hors d’oevures and summer cocktails), Super Foods, Date Night Cooking for Two (instruction led by resort general manager, Joseph Mattioli), Pastries & Desserts, and Northern California Cuisine/Farm to Table. The cost to participate is $US 109 per class or $US 500 for the complete series. Advance reservations required. The Backyard Bar & BBQ will offer weekly BBQ cookouts on Friday evenings throughout the summer season, as well as happy hour specials from 4 p.m. to 6 p.m. Sunday through Thursday that include half-priced flatbreads, buckets of beer, featured beverages and more. Friday evening cookouts are $US 35 per adult and $US 20 per child (12 and under) and are all-inclusive (exclusive of alcohol). New summer BBQ menu items will include lighter fare, as well as seasonal cocktails. Classic backyard summer games – such as bocce ball, badminton, and more add to the summer atmosphere. Northstar is lauded as the best location to learn better mountain biking skills, and Bike 101 offers an ideal introduction for beginners and families. Get to know your bike and riding equipment; learn how to balance and control speed, use flat pedals; familiarize yourself with the riding protocol and safety. The Bike 101 package includes a half-day bike rental, protective equipment, lift ticket, and a helmet. Saturday & Sundays cost US$155 and Monday – Friday costs US $114. Stay two or more nights at Northstar at Tahoe and receive two, three-hour kayak or paddle board rentals. Enjoy kayaking along Tahoe’s breathtaking shoreline – just minutes from The Village at Northstar. Stay + Paddle packages start at $US 80 per person. Visit The Village at Northstar for summer Wine Walks, hosted on the final Saturday of each month, during which guests enjoy a variety of wine and hors d’oeuvres throughout The Village. Live music plays throughout the Walk. Wine Walk tickets are $25 in advance and $30 day-of, and guests receive a commemorative wine glass. Want Help Booking a Room In and Around Northstar and Lake Tahoe this Summer? We Can Help! 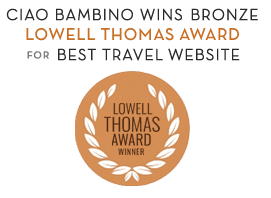 Ciao Bambino provides a free accommodation booking service to families. We can help get best available family pricing at summer lodging around Lake Tahoe including Northstar lodging, The Ritz-Carlton, Lake Tahoe, and Constellation Residences. Want something close to the lake? Tahoe Luxury Properties is our favorite resource for high end rentals around Lake Tahoe.